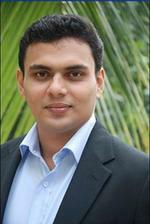 Alex Varghese started his career in Internet Marketing over 12 years ago. He was the Managing Director for Exar software research pvt ltd (2009-2016). Over his twelve year international career in Internet Marketing & Advertising, Alex has become an expert on digital technology, cross media campaign integration, management, leadership, and best practices with regard to running many types of businesses. For the last 2 years, Alex has been experimenting lead generation and promotional email marketing and making returns from Internet marketing channels such as Bulk SMS , Voice Call Messaging, and email marketing.